Wonderful movie camera, produced in 1926. The ICA AG, before the incorporation with the Zeiss Icon, in 1921 had produced a movie camera 35mm, named "Ica-Kinamo"; it worked with a manual mechanism for the film progress. Two years later they add a spring mechanism. 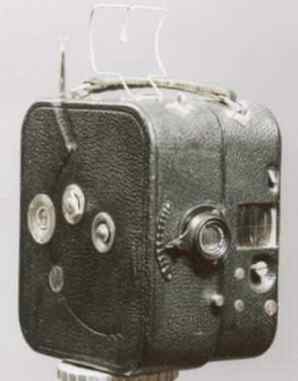 After the incorporation by Zeiss Ikon this movie camera was rinamed "Kinamo N 25". The body is metal, covered by a black skin. 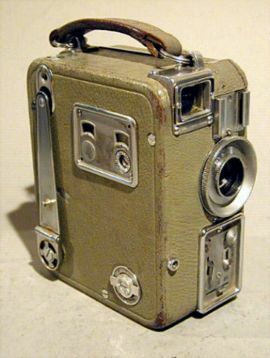 Its is a movie camera produced in 1929 1936. It used 16mm film. It is equipped with a lens Zeiss Tessar 1:2,7 15mm, with many filters. It is very compact, and its measures are the following: 58x110x98 mm. The camera weights 1,150 kg. The body is metal, covered by a black skin. It is rare with a good worth. 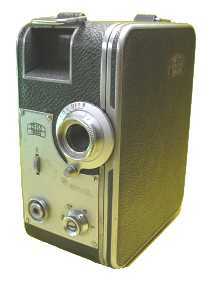 This is the first Movikon 8, when it had a "normal" shape (see the next movie camera, below). 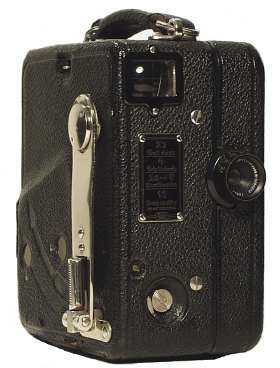 It was produced in 1933 and was equipped with a lens Sonnar 1:2 f 10mm, interchangeable. Its measures are the following: 58x120x105 and its weight is kg. 1,500. Unfortunately the gear is not working. This Movikon 8, with the letter "K", was produced in 1939 and was equipped with a lens Zeiss Sonnar 1:2 f 10mm, interchangeable. Its measures are the following: 63x127x140 and its weight is kg. 1,450. My movie camera works fine and is perfect. Produced in 1956, this wonderful movie camera is equipped with a lens Zeiss Movitar f/1,9 10mm. It weights 0,975 kg. and its measures are the following: 147x85x65mm. The housing is covered with a green-grey crinkled enamel finish. This movie camera was to be held sideways, like still image camera. The film threading is complicated: as it comes off the feed spool, the film has to be twisted before and after the metal platen to be able to pass by the film gate. The first model was produced in 1952, it had the housing covered with a brown clinckled enamel finish and did not even have an exposure meter.